Lego has confirmed that the official Ghostbusters set will launch in June. The Lego set was officially launched at the New York Toy Show this week. The June date is timed to coincide with the 30th anniversary of the original Ghostbuster's release in the US. Lego has not given an exact date yet. The film's anniversary is June 7th. 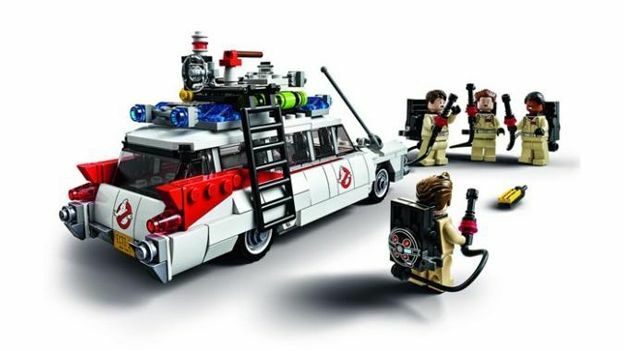 The set features the Ghostbuster's Ecto–1 car and all four members of the team, replete with their proton packs. “As a child, I would recreate Ghostbusters out of Lego,” said fan and creator Brent Waller at the time his set was selected. "I had a very primitive Ecto–1, Ecto–1A, and the Firehouse, as well as all of the main characters with Classic Space air-tanks for proton packs. “As an adult rediscovering my love of Lego, recreating it now was a way of recapturing that unbridled creativity of my youth,” he added. Waller submitted his models to Lego's Cuusoo 'kickstarter' site for fan created models. It quickly collected the 10,000 supporters it needed to be submitted to the Lego team for approval. Lego hasn't said how many pieces are in the model. However, it has confirmed that it will sell for $49.99 in the US. We'd guess it will sell for around £39.99 when it launches in the UK. We've reached out to Lego for confirmation of the UK price and launch date. We'll update the story once we hear back.